To celebrate a year of successes and to get the Hope for the Young family together, we decided to throw a Winter Party on Sunday 10th February! 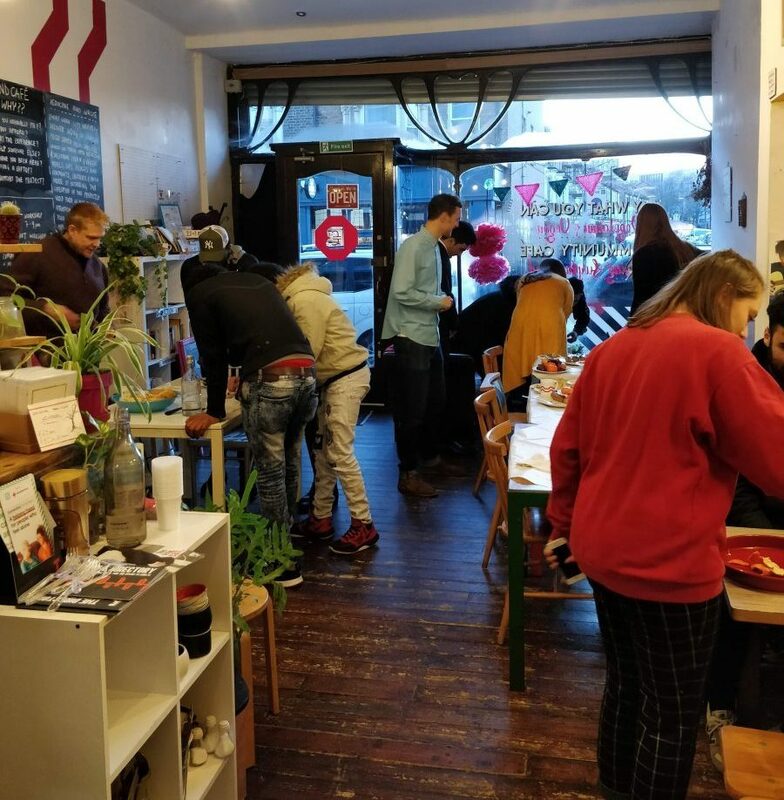 While in summer we like to gather outdoors in the park, for our Winter Party we opted for the cosy space of the Brixton Pound Café, a lovely community café that uses surplus produce to make delicious, affordable food. It provided the perfect environment for our party, as it’s a warm and inclusive space, much like our charity. We want to say a big thank you to them for hosting us! The afternoon consisted of lots of music, chatting, playing cards (with UNO being a popular choice), and fun team-building games. We even found time to have some delicious home-made food, cooked by our very own Trustees! We were happy to see so many people joining us, from mentees, members of staff and volunteers, to Trustees and Education Fund recipients. Keiyshia, one of our Admin Volunteers, said “I think events like these are important because it’s good to know and acknowledge all the people who are involved (in one way or another) in the important work that Hope for the Young does.” As a charity, we feel it’s important to make the time to gather together and celebrate the wonderful community we have built, and our parties are the perfect occasion to do this! Indeed, 2018 was a year of big successes, which deserved to be celebrated in full. Young people enrolled and moved up levels in their courses, passed their exams, and built new skills and confidence in a huge variety of areas. Equally, we smashed our fundraising target during our Sponsored Walk in September and were also awarded funding by The National Lottery for the next three years. There was much to celebrate! We are now excited about what lies ahead and are looking forward to channelling all our efforts into doubling our impact, developing a three-year strategy and helping more young refugees and asylum-seekers to achieve their goals! If you’re interested in getting involved or supporting any of our projects, please don’t hesitate to get in touch. Come and join the wonderful Hope for the Young community!